Nautronic has chosen to seek partnerships more strategically over the past years and in this context entereing into sponsorship deals as well. In 1997 Nautronic entered the cooperation with FIBA making Nautronic scoreboards fulfill FIBA regulations. In 2007 Nautronic was certified as study center partner meaning that Nautronic is participating and has a vote whenever FIBA regulations are changed. The partnership we form with FIBA is very valuable and as much as the FIBA certification labels our products as high quality equipment it also helps spread the brand name. In 2013 the cooperation with FIBA took on entirely new dimensions with a three year FIBA 3×3 World Tour sponsorship deal making Nautronic exclusive supplier for the World Tour events for a series of three years. In this time period only Nautronic scoreboards can be operated by the FIBA event management software – EventMaker. This gives us a head start in what is predicted to be the new number one game in festive sporting events. For more information on the specific 3×3 World Tour scoreboards Nautronic has developed please see the product information sections or ask Nautronic sales department. 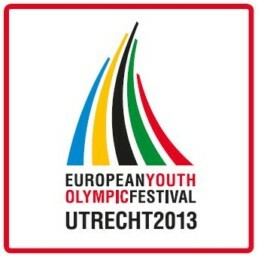 Nautronic has sponsored the EYOF 2013 in Utrecht, Netherlands with scoreboards and shot clocks for the basketball and handball games. We are entering these kinds of sponsorships to support sporting events for young players and contestants. In our opinion it is important to support talent at an early stage to keep athletes in the game for the years to come.